Beautiful teeth are essential to a healthy and attractive smile. If you have become a bit self-conscious about the way your teeth look, you may consider teeth whitening. Before you blow your money on over the counter whitening options that are uncomfortable and ineffective, it’s a good idea to consider visiting a good teeth whitening dentist. At the dentist’s office you can enjoy the professional whitening results that come from using state of the art procedures, such as Zoom teeth whitening. This option provides such great whitening results that you just might feel like something magical has happened to your teeth. When you visit a teeth whitening dentist to have the Zoom procedure done, you will actually find that it’s really simple. In fact, this little bit of whitening magic only takes about an hour or less. This whitening treatment starts by having a special mouth guards placed into your mouth around your gums and lips so your teeth are exposed. Then the dentist uses a special gel on the teeth and around your gum line. This special gel is supposed to help reduce discoloration and break up the stains that are on your teeth. Another job of the gel is to enable the special Zoom light to get deep into teeth so you get a brighter shade that looks natural. After the teeth whitening dentist applies the gel, then a special lamp is positioned to shine the Zoom light on your teeth and gums. This light actually gets the whitening process started. The treatment, including the gel and light, is done three different times for 15 minutes at a time, which totals about 45 minutes long. 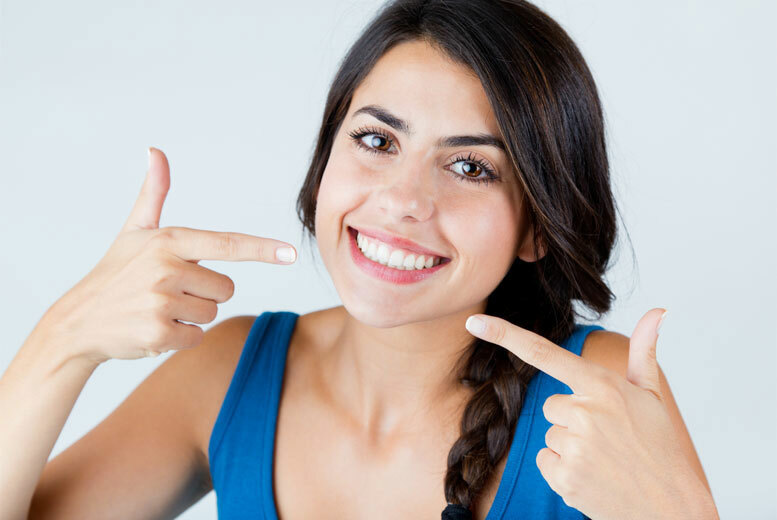 Once the treatment is completed, you can make sure you keep the great results by using special Zoom teeth whitening products on a regular basis. This special technology is used in our office because of the great benefits it has to offer. Those who get the best results from this whitening procedure include those who have stained teeth from wine, tea, coffee and foods and those who have very sensitive teeth. At Healthy Smiles, our teeth whitening dentist use this technology because the special bleaching gel that is used in this procedure works great, even for those who have very sensitive teeth. In just one treatment, you’ll see great results – almost like magic. Just a few of the top benefits of getting this type of whitening from us include; fast results, short treatment time, no pain, few side effects and a reasonable cost.